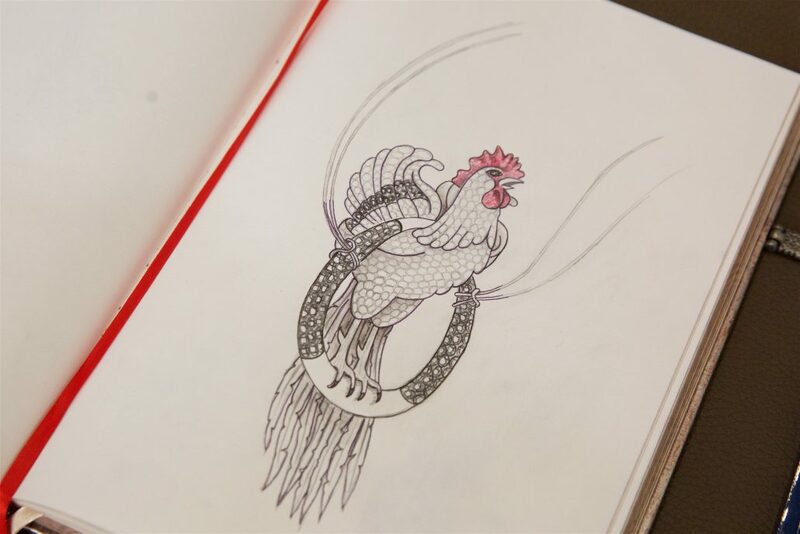 The talented artist-in-residence, designer Pamela Hastry from Morphee Jewellery created an exclusive range of rooster inspired jewellery hand-painted sketches. It is a winter evening on a Wednesday as I walk into a crisp Mayfair. I am on my way to celebrate with William & Son for a prosperous Chinese New Year. This is to honour their partly Chinese client base as well as to stand in conviction that any excuse for a celebration is a just one. I agree. And as it is a Chinese tradition for one to wear red as it brings you luck for the new year, I wear my favourite red jacket and feel ready to take in all the beauty and luxury at the store to behold the dreamy and mesmerising collection of the exclusive Morphee Joaillerie. 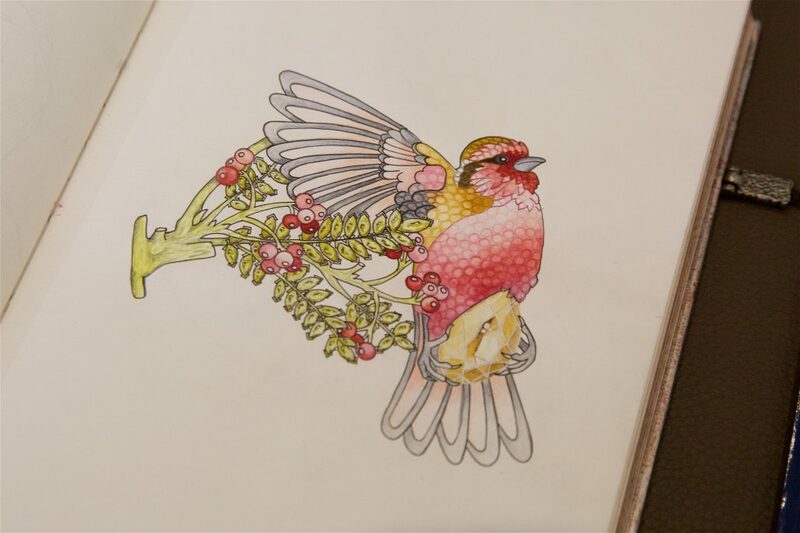 Michalis Christodoulou is a London based fashion illustrator working globally on advertising and social media campaigns, editorials and live drawing for renowned brands like Christian Dior Couture, Bulgari, Chanel Joaillerie, Chopard and Cartier and many more. 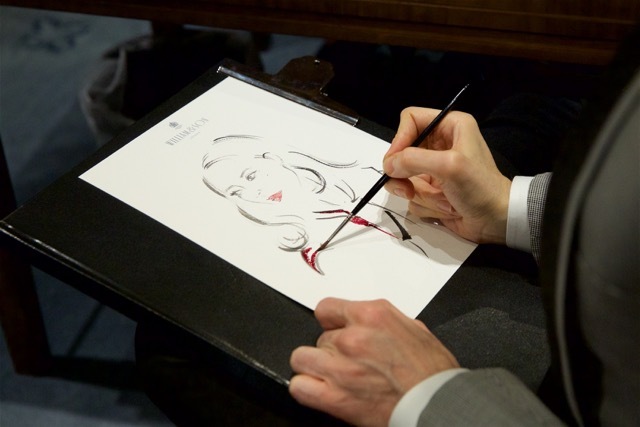 Michalis joined this event to draw live illustrations of the guests. We were thrilled to see the end results of his work.